* Lesson plan objective and assessment can be adapted to use this activity with mobile infants, toddlers, or preschoolers. Begin the activity by finding a comfortable spot to read Fall (Bright Baby Touch and Feel). As you are reading, encourage the child to touch the different objects and textures on the pages. Show them how to turn the pages as well. Be sure to talk about the fall items in the book with the child. When finished reading you can begin the friendship wreath. 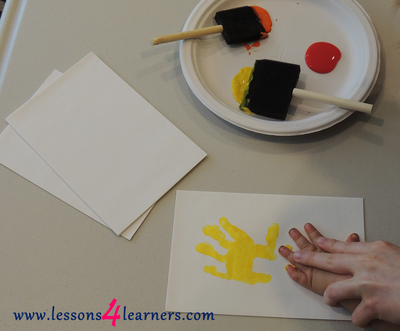 Start by painting the palm of their hand using desired color of paint. 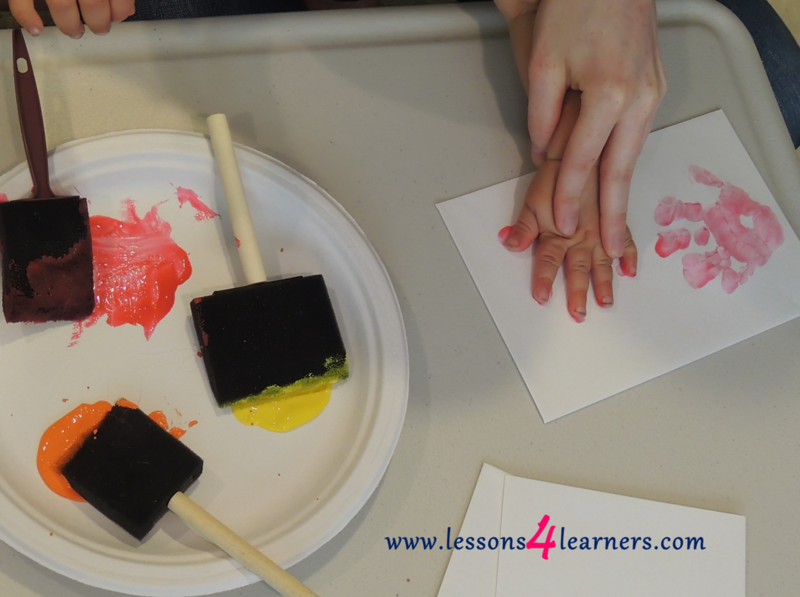 Press it down on the white paper to create a stamp. Wash the child’s hands and allow the stamp to completely dry. 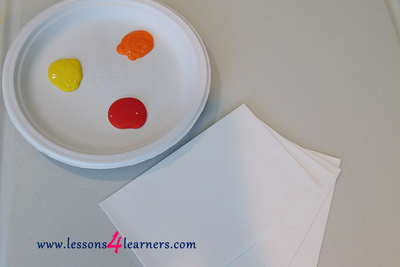 Cut out the middle portion of a paper plate and attach the children’s handprints. If desired, you can add a bow to the wreath, using the ribbon. 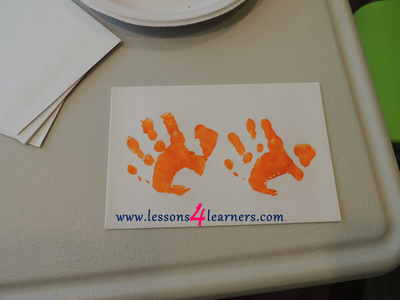 Label each handprint with the child’s name and attach the wreath to the outside of your classroom door for parents to view. Observe and record the child’s reaction to the paint. How did they respond to the new texture? 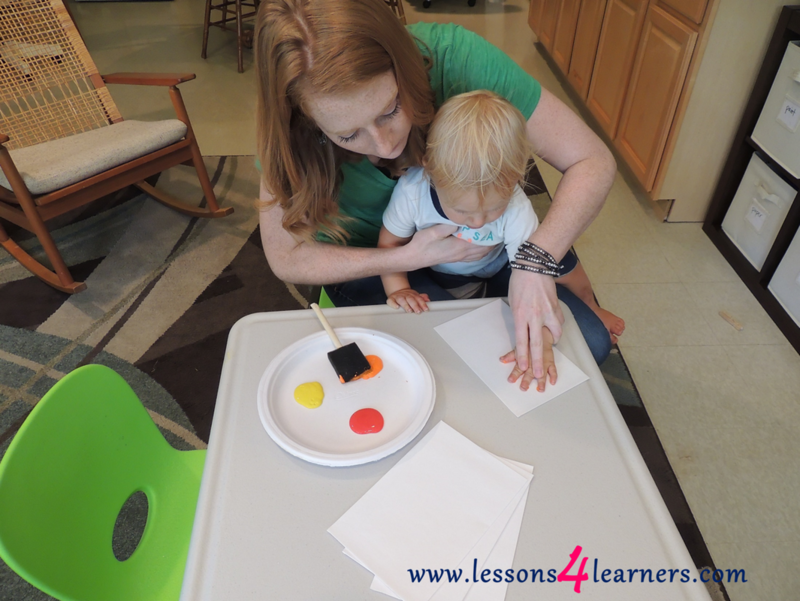 How are the child’s early literacy skills developing? Did they attempt to turn the pages of the book on their own? Place these notes in the child’s portfolio. Each page is simple—yet dramatic—in design and detail, and is complimented by clear and engaging text. Leaves can be a crown. Leaves can be a mask! 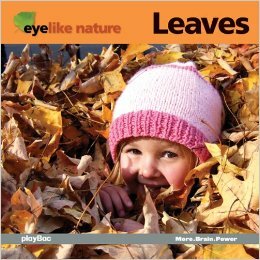 Jump into the crisp, colorful world of leaves in EyeLike Nature: Leaves. For the youngest of readers, this board book provides simple language and beautiful, familiar photographs of life through the eyes of a toddler.